Want a New Year’s Resolution guaranteed to produce results? No… I’m not talking about weight loss. I’ll save that for another day. For now, let’s turn to a rule of Physics: The path of least resistance is the route that presents the fewest obstacles to forward motion. For example, a river will always flow downhill, where the gravitational pull is greatest. Here’s another: when given the option of riding up an escalator or climbing several flights of stairs, the majority of people will opt for the path that requires less energy and presents fewer chances of tripping. Prepare healthy meals OR grab takeout? Exercise OR nap in the recliner? Take a class OR binge on Netflix? These paths or resolutions will likely be considered by many of us in the next few days. But what if we were to consider an even better path… one with less resistance… one that God has planned for our lives? When I was dating and then engaged to my first husband, I encountered a good deal of resistance from friends and family who tried to steer me off my destructive course. I also faced numerous roadblocks that signaled a dangerous path ahead. But, I was a headstrong teenager who ignored all the red flags and plunged into a destructive marriage which threatened my security, demolished my self-esteem, and left me in a very dark place. I had very willingly followed a path of enormous resistance away from God’s love and perfect plan for my life. It didn’t take long for my misguided choices to come crashing down around me. Much like the prodigal son, I came to the end of myself and realized there could only be one solution to the wreck of my life that I’d so masterfully constructed – Divine intervention. On the cold tiles of a small bathroom floor, I cried out to God for help. I didn’t know it then, but almost 25 years later, I can clearly see God had a MUCH better plan in store for me. With so much pain, I was resistant to opening my heart and receiving his free-flowing stream of love. But each time I did, I experienced bouts of joy, peace, and acceptance. The more I lowered my resistance to his pathway of love, the more clearly I could see and follow the path He’d laid for me before my life began. God’s plan brought me my husband, Rey, who has been supporting, encouraging and protecting me for 21 years. God’s plan brought us a daughter and a son who love God and their parents. God’s plan led me to earning a Ph.D. and achieving my dream of being a professor and an author. God plan inspired me to write “Dare to Respect,” a novel about 6 women who were dissatisfied with the state of their marriages. None of these blessings magically floated into my lap. They required some effort and there were occasional bumps along the way. But instead of relying my own ‘know-how’ I turned to God for wisdom, strength and direction. My way derailed me every time… God’s will is the path of least resistance. As a result of following God’s will, my life is sweeter and more rewarding than I ever could have imagined. When I stopped resisting the flow of God’s perfect love and adhered to His plan for me, I was like a river following the path of least resistance. So, as you are counting down the final seconds of this old year, consider pushing aside your own plans and resolutions and following God’s path instead. God, what are YOUR plans for me this year? God, what would YOU have me do? God what is YOUR will for my life? God, please help me to follow your path. May you find hope and security in the knowledge that His plans for you are perfect and ready for you to follow. 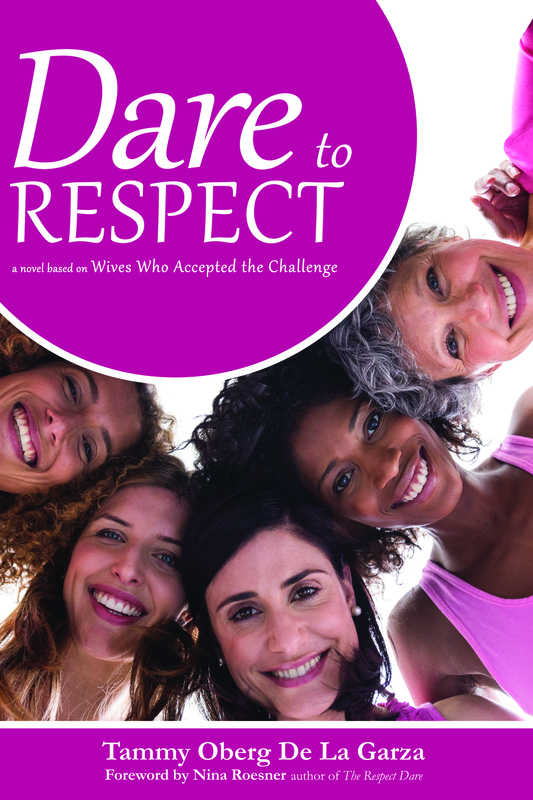 Get DARE TO RESPECT – on SALE now!